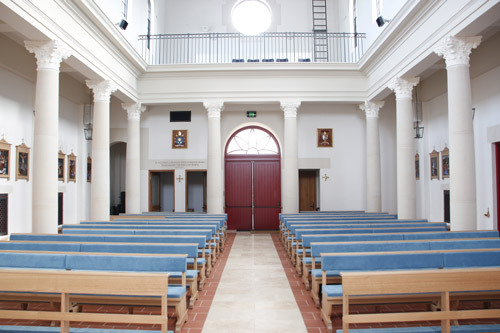 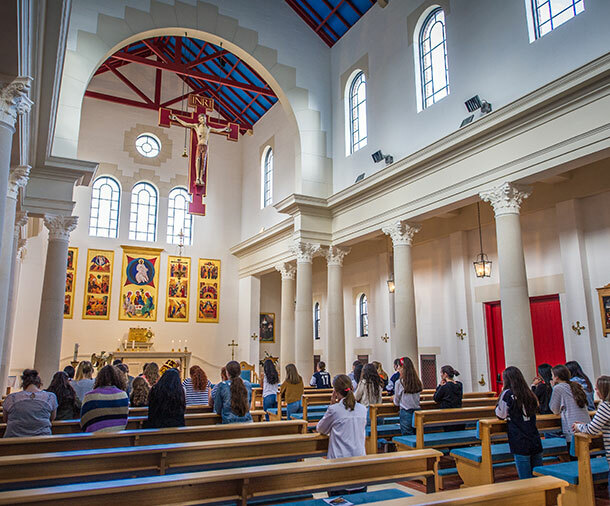 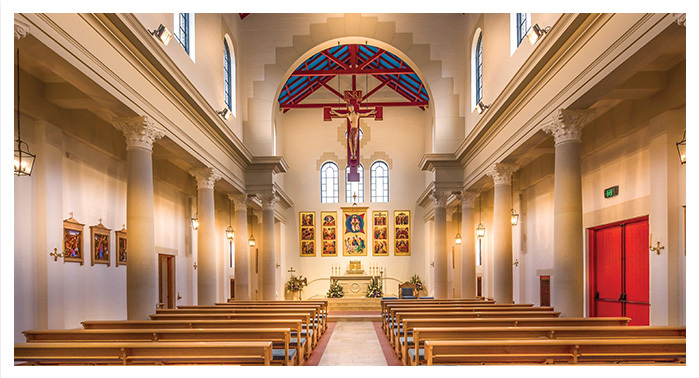 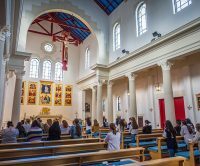 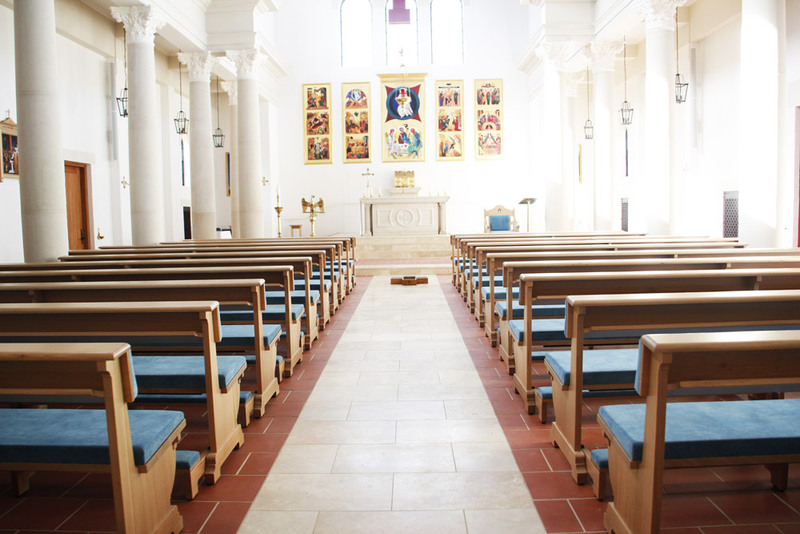 The Chapel follows the classical design inspired by the early Christian basilicas of Rome. 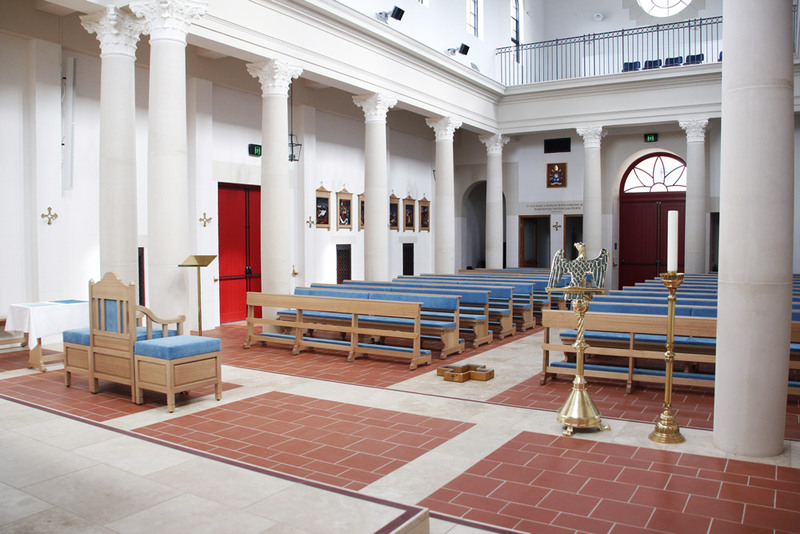 Both red and blue colours reminiscent of the mediaeval tradition have been used to great effect in the Chapel. 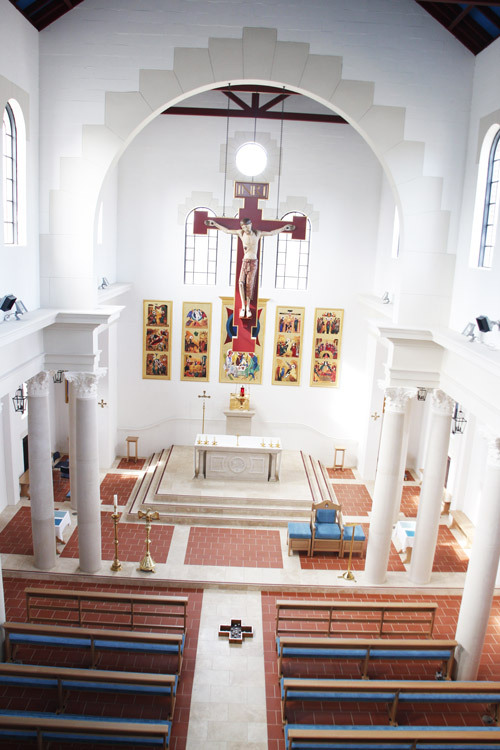 The vivid blue colour used on the soaring 12 metre-high ceiling symbolises the vault of heaven and the mantle of Mary. 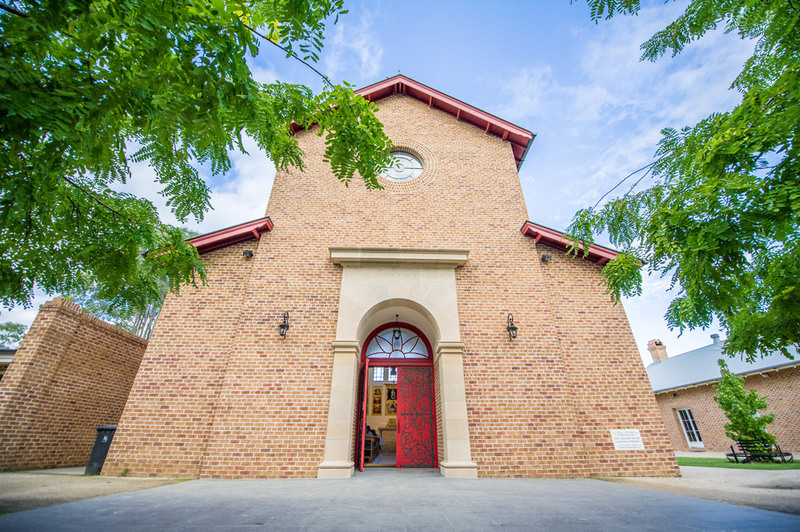 It is also the blue of the ceiling of St Mary’s Cathedral. 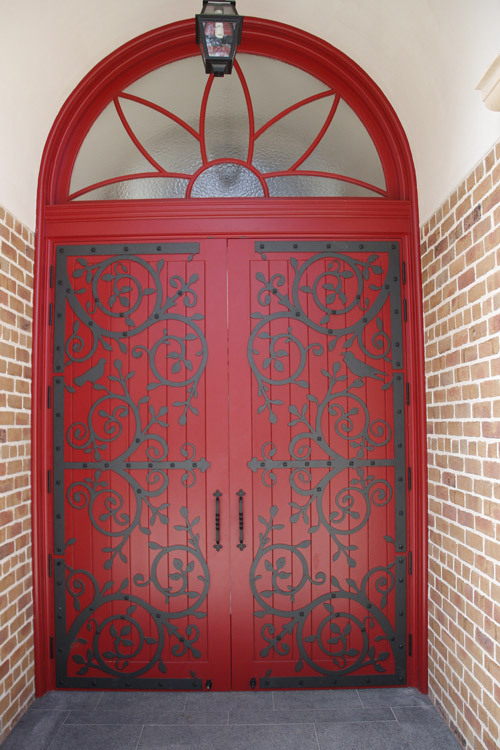 All external doors and shutters of the Chapel are red symbolising the blood of Christ and tying back to the old Jewish tradition of Passover when red was painted over the front door of homes. 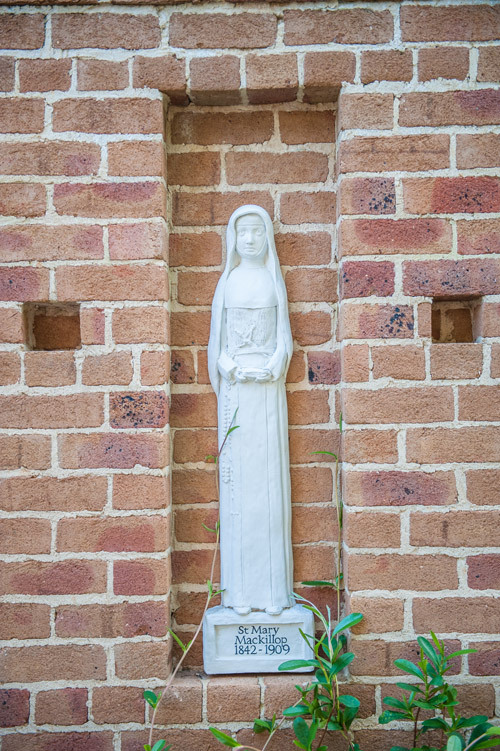 Much thought has gone into the interior of this special place of reflection and there are many original items of art and sculpture present within this sacred space. 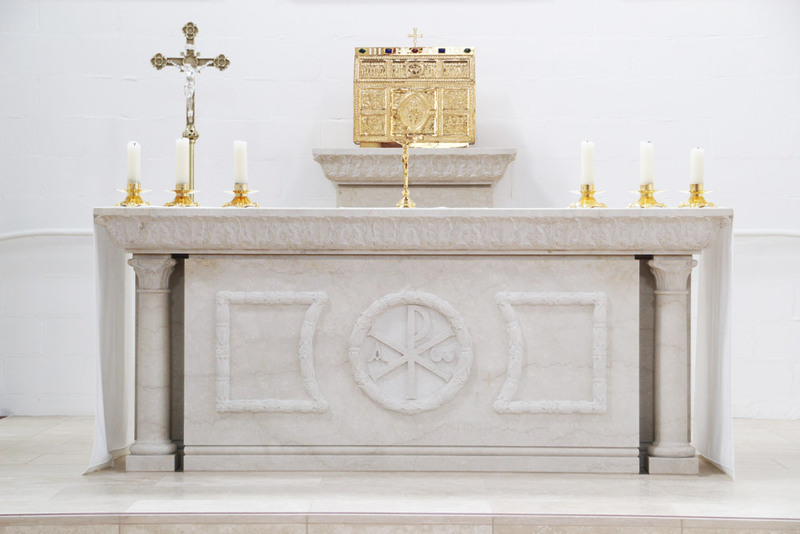 The solid altar of finest botticino marble is the centre and focus not only of the chapel itself, but of complex. 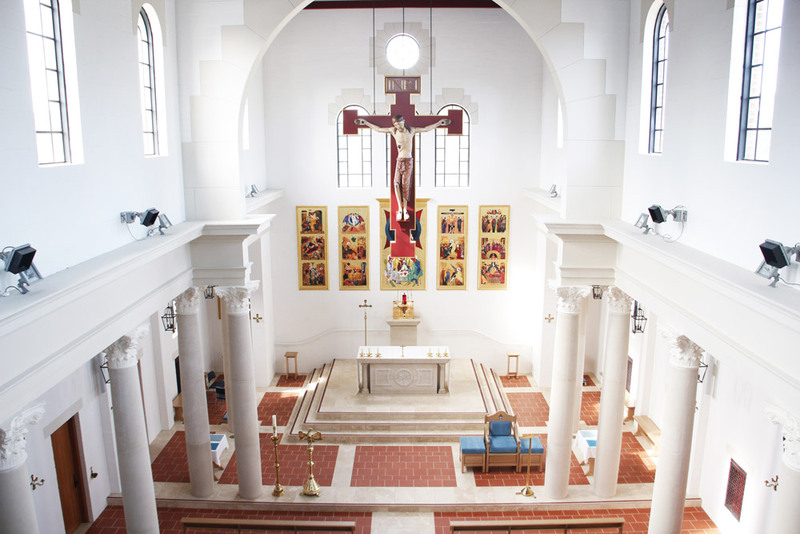 It is the place where, as the Second Vatican Council taught, we find the source and summit of Christian Life. 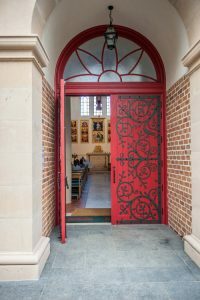 It is carved with the monogram of Christ (the letters X – in Greek, Chi – and P – in Greek, Rho – the first two letters of Christ’s name). During its dedication it was anointed with chrism, a sign of the Anointed One. 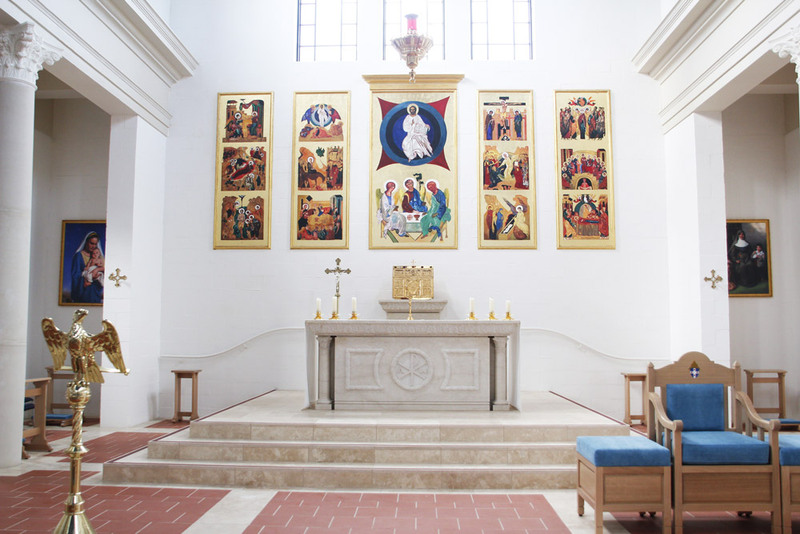 The whole Salvation history is depicted on the altar backdrop, a series of gilded frescoes created by Italian artists of the Neocatechumenate Way – a hand finished copy of the artist Kiko Arguella’s work. 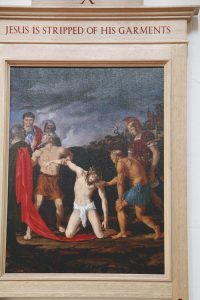 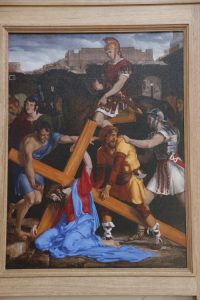 Again we see the use of reds and blues in this unique representation of the story of Christ. 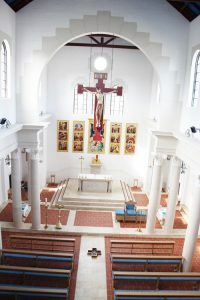 Hanging in the high space of the sanctuary, is a monumental crucifix in the Romanesque tradition. 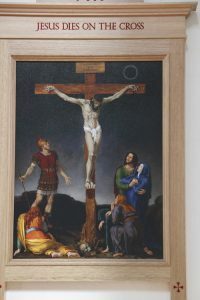 The figure of Christ Crucified combines the reality of the suffering and death of the Lord with the quiet majesty of the King who rose victorious from the tomb. 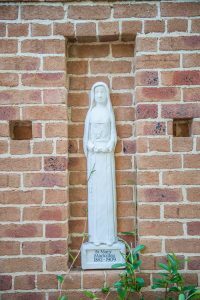 It invites us to enter into the celebration of the Eucharist where the saving power of this mystery is made present for us. 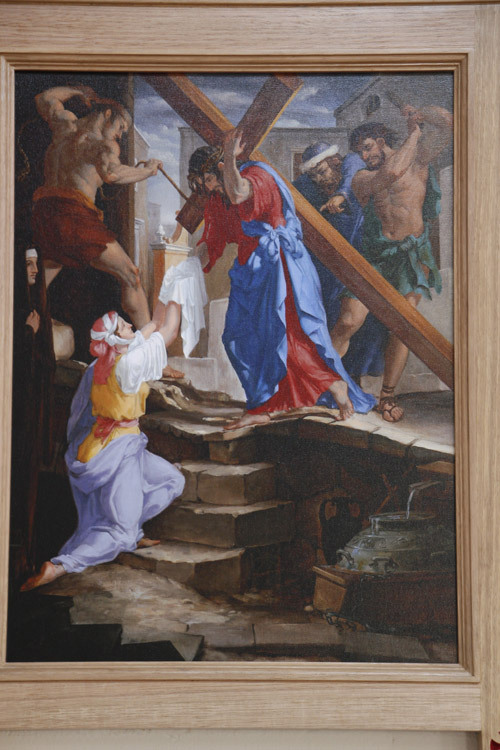 The Stations of the Cross are framed in beautifully ornate timber frames created by students of the Southern Cross Catholic Vocational College.